All sectors in Desplomilandia are north-west facing and subsequently in shade until the afternoon. Then the sun comes on the rocks. 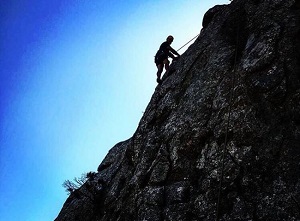 El Arpa climbing accommodation is located in front of the Guadalhorce lake, with land up to the rock walls of the "La Boda" sector. Right outside our land, you will find another 2 sectors and just up a track road, the rest of the areas are located near a parking platform. 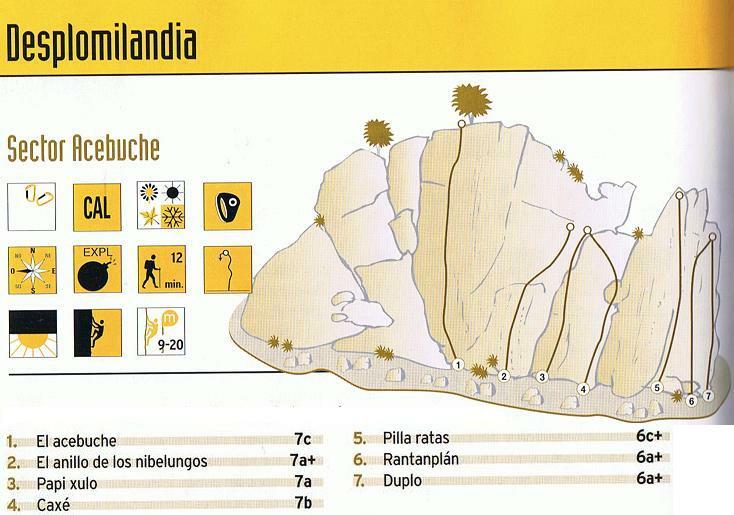 The routes are prepared for sport climbing. Please bring your own equipment. Click here to see the pictures of the 1st floor apartment accommodation with private bath, private kitchen and panoramic lake views. Click here to see the pictures of the ground floor apartment accommodation with private bath, private kitchen and lake views. 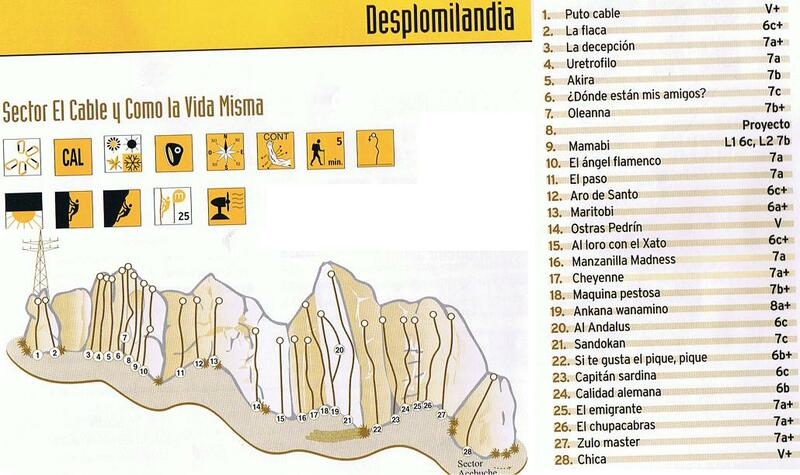 Welcome to Desplomilandia - one of the best rock climbing areas in Andalusia - part of the famous El Chorro climbing area. 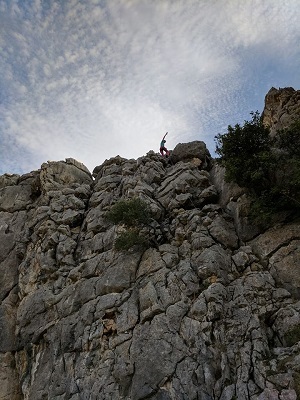 El Chorro is just 15 minutes drive away. 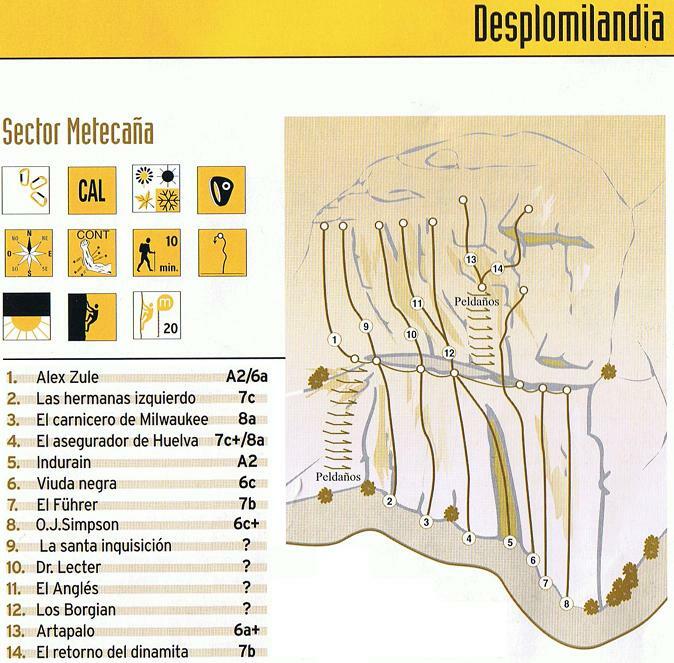 El Arpa is the most beautiful climbing accommodation near El Chorro - and located right by the Desplomilandia climbing area. 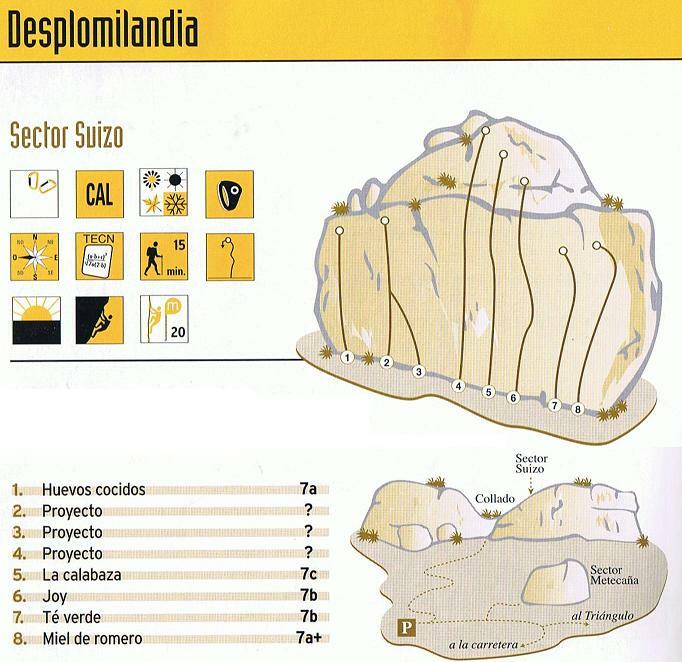 Desplomilandia consists of 8 sectors and including the nearby "Pozo de la Mona" area; a total of more than 240 routes. Desplomilandia. 200 - 500 meters from the apartments. 8 climbing sectors. 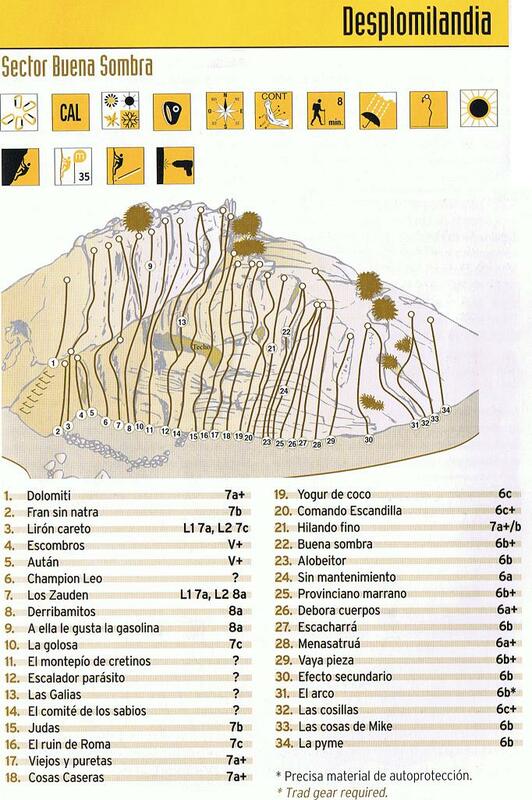 El Chorro. 10 km from our finca. Hundreds of climbing sectors. Valle de Abdalajís. 16 km. Lots of climbing sectors. Rio Turón. Near Ardales. 16 km from our finca. 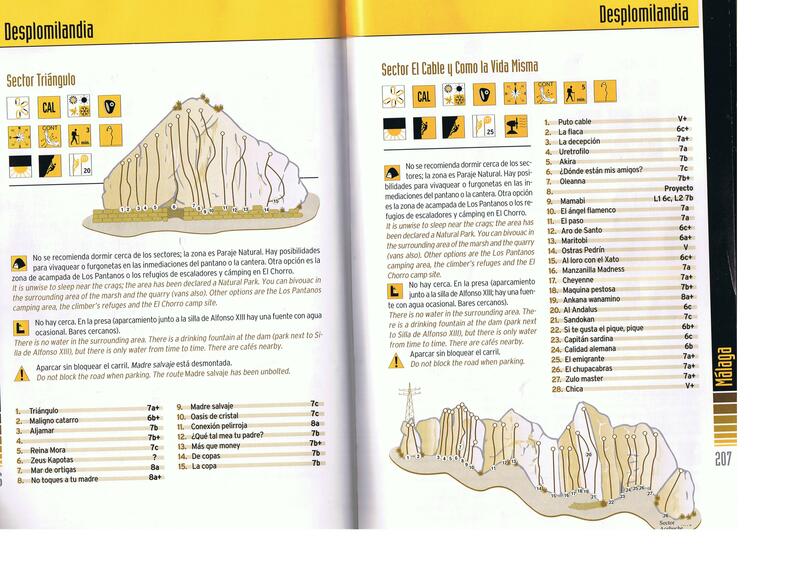 Several good climbing sectors. Taco del Molino. Near Teba. 10 km from our finca. Gorge with several good climbing sectors. 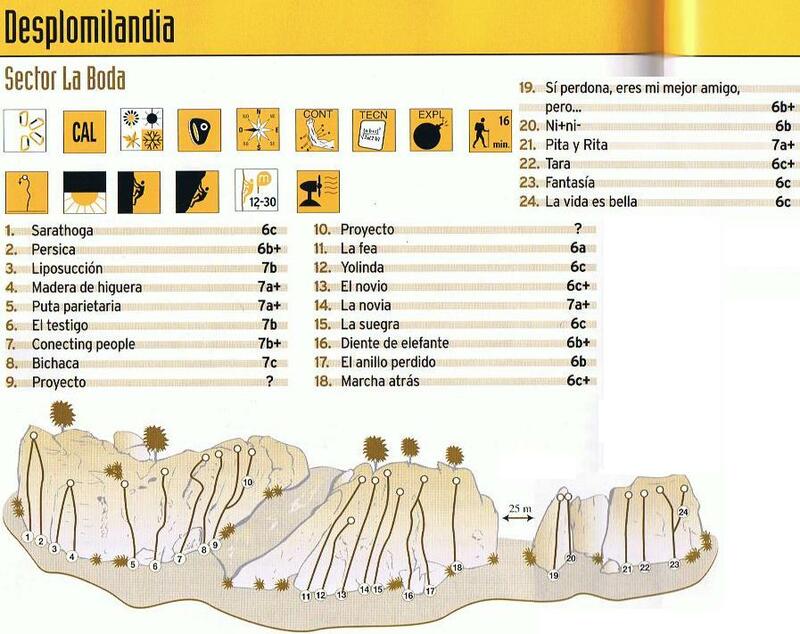 El Torcal. 30 km from our finca. Several good climbing sectors. Pozo de la Mona. 3 km from our finca. Small, but good climbing sector. 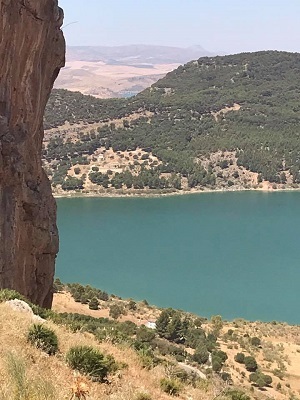 El Arpa is the most beautiful climbing accommodation near El Chorro - and the only one with private bath, private kitchen and panoramic lake views from your apartment.